Sleep is a key weapon in any cyclist’s arsenal—but the alarming fact is, most of us don’t get enough. Here’s how to clean up your bedtime habits so you can ride stronger and faster. I can’t decide which will be more distracting to wear while trying to sleep: the clunky wristwatch or the elastic headband with the snap-on sensor. I stare at the two gadgets—called home sleep monitors—on my bed, wondering how my nighttime wakefulness has come to this. But when I think about it, it’s really not so hard to figure out. It began when my daughter was little and would wake up every half hour with night terrors. It happened frequently enough that my husband and I would lie awake every night waiting for the cries from down the hall. But even after she started sleeping better I couldn’t shake the restlessness, my mind churning over a parade of worries—deadlines at work, the uncertain economy, my aging parents. These days, after going to bed at 11, I typically spend about an hour tossing fitfully until my anxiety begins to shift toward the likelihood I’ll sleep through my alarm and feel tired and cranky all day at work. Eventually I drift off, but somewhere around 3 or 4 a.m., I’m awake. It could be because of an unsettling dream or the dog barking. Regardless, once I’m up, daily stresses that had dissipated start to reshape themselves into solid concerns. At this point, the impending beep-beep-beep of the alarm in a few short hours has me on alert. I doze lightly, but never feel fully asleep. No wonder the last 14 years have been a foggy blur of unproductive workdays, burned dinners, and unfolded laundry. All of this hasn’t only impacted my mood and productivity. It’s also had implications for my riding. Just a few years ago, I had summoned the wherewithal to train for and regularly toe the starting line at a number of triathlons. But after a few seasons, I was tired all the time, not recovering well, and dealing with chronic injuries. Even now, I’m sometimes too weary just to get on my bike, never mind the kind of energy three sports require. Those aspirations are now shelved next to a jumble of power cords and docking stations—the hardware that comes with the aforementioned sleep monitors. The devices contain sensors that record movements and brain signals, data that are supposed to indicate whether I get a good night’s rest. Both will help me get more quality out of my time in the sack. Or so the marketing materials claim. But for someone who already has a tough time drifting off, the idea of dressing up like Björn Borg for bed doesn’t hold much appeal. Still, if there’s a chance I’ll be less tired during the day and have more energy simply to ride, it’s worth a shot. I settle on the wristwatch and curl up under the covers. Sleep is the linchpin for such essential body processes as digestion, hormonal balance, and immunity. For athletes, it’s a surprisingly powerful factor in performance. It turns out I’m hardly the only one with a saga of sleep deprivation. 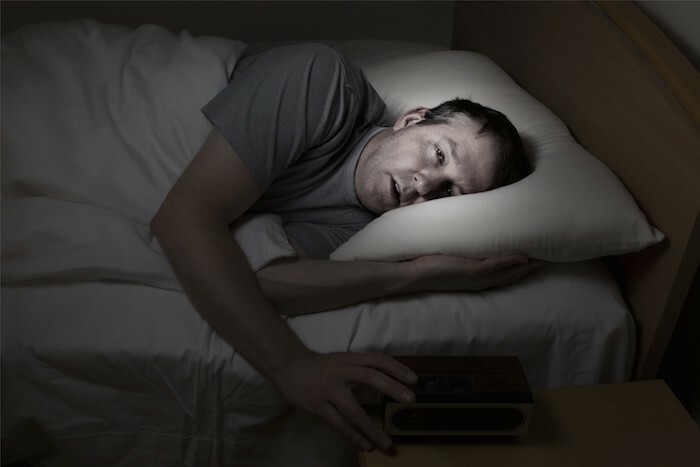 According to the National Sleep Foundation, 75 percent­ of American adults have slumber problems and nearly as many of us don’t get the recommended seven to nine hours of sleep a night. It’s puzzling to me that a life-­sustaining biggie—as critical as food, water, and oxygen—should be a challenge for so many of us. It’s the linchpin for such ­essential body processes as digestion, hormonal balance, and immunity, among others. And for cyclists and other active types, it’s a surprisingly powerful factor in performance. The time you spend snoozing is when the body works behind the scenes to churn out key hormones that help repair and rebuild muscle, so you get fitter and stay injury-free. It’s also when your brain ­solidifies cognitive skills that allow you to, say, finesse a paceline or know when you should shift gears. One study found that getting two hours less sleep than normal impairs your ability to perform physical tasks to a level similar to having pounded a few beers. You may already be familiar with that feeling, but it probably hasn’t landed you on any podiums. And it’s not exactly safe. “The more sleep-deprived you are,” says sleep expert Michael Breus, PhD, “the slower your reaction time is,” an extra level of risk when you’re navigating a traffic-snarled commute, a tight pack, or pedestrians on a towpath. Lack of sleep can mess with your head in other ways, too. When you’re dragging, “your perception of a ride will change,” Breus says. 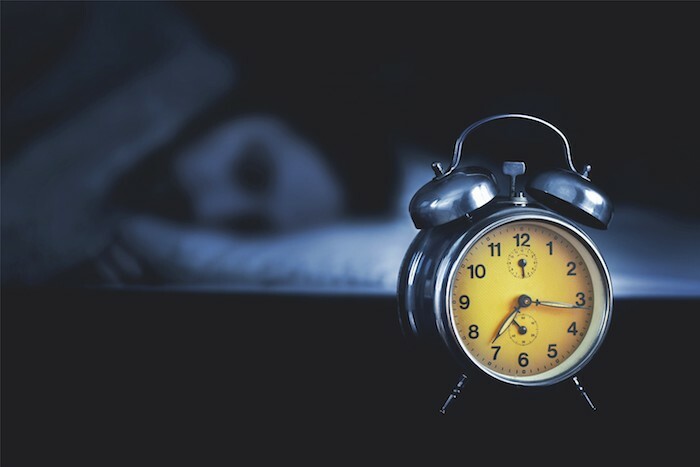 “It won’t feel like as much fun and will seem like more of an effort.” What’s more, some research links getting less sleep to an increased perception of pain. In other words, you’ll feel like you’re hitting your ­physical limit faster than you would if you were well rested. As an athlete, I should find that sleep comes easier than it actually does. Physical activity has long been associated with more restful slumber. But I’m not convinced that the exercise-sleep connection always delivers on its promise. When I mention this apparent disconnect to Breus, he confirms my ­suspicions: Athletes may be extra vulnerable to sleep problems, particularly if we’re training hard. “One of the first signs of overtraining is insomnia,” he says. Even if you’re not putting in big training hours, chances are your riding schedule is fairly regimented, especially if you’re also juggling a job and a family. “Athletes tend to be on a set schedule,” says W. Christopher Winter, MD, medical director of the Martha Jefferson Sleep Medicine Center in Charlottesville, Virginia. “They have a wonderfully established internal body clock.” But it’s precisely because our clocks tick along so predictably that we get screwed up, he says. Even the tiniest disruption can feel huge if your sleeping, eating, and riding habits are set in stone. Daylight saving time, a newborn, even the temperature in your bedroom can affect the quality and quantity of your sleep—and, ­ultimately, your riding. “Traveling to events also can work against you,” says Winter, whose ­research focuses on athletes and their globe-trotting habits. It’s not only jet lag that takes a toll. According to a recent study in the Journal of Sports Sciences, 65 percent of athletes don’t sleep well the night before a big event. Of those, 80 percent have a hard time nodding off and 72 percent obsess about the event. It’s hardly surprising that caffeine and alcohol are so ingrained in cycling culture. Perking up with a preride espresso or winding down with a cold IPA may seem like good solutions for elusive or lost sleep, but both prevent you from reaching the deepest stages of slumber, which offer the greatest performance benefits. And because so many sports drinks, bars, and gels contain caffeine, there’s a chance you may be getting too much of the stimulant without even realizing it. After I hash out my sleep habits with Breus and Winter, the reasons for my struggles seem pretty straightforward. I have a lot going on at home and at work, and when I was focusing on racing, I’d cram my limited free time with hard workouts. It also turns out I break ­several cardinal rules of sleep hygiene, a term experts use to describe slumber-promoting habits. My glass of wine with dinner often extends into a nightcap, I don’t stick to a regular schedule, and I have a television in my bedroom. The TV is the one I’m convinced is the most egregious—for years I’ve blamed my insomnia on my husband’s addiction to Seinfeld reruns. But Breus admits his wife falls asleep every night with the TV on, and suggests I focus on changing behavior that is within my control. It’s a leap for me, but letting that go ­allows me to discover that the some of the other bedtime rules the experts recommend actually work. For instance, now that I know the extent to which alcohol inhibits deep sleep, I limit my wine to dinner. Surprise—it helps. And once I give the sleep monitors a chance, they point to maybe the most important change I need to make. In the end, the quality of my sleep is actually pretty good—I log plenty of time in the stages that are most restorative. But the amount of time I’m conked out usually comes in under the recommended seven hours. It’s clear I need to be more disciplined about getting to bed earlier. That one’s not so easy, but I’m working on it, and now that I have a better handle on why I’m so chronically tired, I’m more determined than ever to make sleep a priority. You can, too, by following these guidelines. In the first stage, your muscles relax and you transition to sleep. Five to 10 minutes after falling asleep, you enter a deeper slumber. The brain produces chemicals that make waking more difficult. These are the deepest sleep stages. The body releases growth hormone, which helps repair bone and muscle. If you’re awakened now, you will feel groggy. The fifth stage of sleep is vital for pain tolerance and motor skills. It’s when the brain shores up cognitive and nervous-system functions. Each REM stage lasts a little longer throughout the night. After a REM phase, you wake up a bit before transitioning back to light sleep and restarting the cycle. But try not to do it within four hours of bedtime, Breus says. Exercise raises your body temperature, which triggers­ a shutdown­ of the sleep hormone melatonin. Also, watch for signs of ­overtraining. If you feel crappy every time you get on the bike, consider taking some time off. That’s what the body needs to cycle through the restorative phases of sleep. “The more your body clock is locked in, the better,” says Breus.­ Yes, you may be more sensitive to sleep disruptions, but Winter says that having a set schedule also makes you better equipped to handle them. Darkness stimulates melatonin production. That means lights out when you’re trying to sleep (no TV, laptop, or phone). I now put a small beanbag pillow over my eyes to block the light. Breus also suggests I set the sleep timer on my set so it’s not running all night. Keep your bedroom between 65 and 75 degrees, say Breus. Any warmer and your body will think it’s time to wake up. You don’t have to sacrifice the performance benefits of caffeine. “But cut it off by 2 p.m.,” Breus says. “It stays in your body for 8 to 10 hours after you drink it.” And limit your intake to less than 250 milligrams a day. That’s roughly the amount in two espressos, 21 ounces of Gu Roctane Ultra Endurance drink, a 12-ounce Coke, and a Clif Shot Turbo Energy Chocolate Cherry gel. Alcohol initially makes you drowsy, but according to the American Academy of Sleep Medicine, it keeps you in the lightest stages of sleep, preventing you from getting restorative benefits from the other phases. It takes two to three hours to get the amount of alcohol in one drink out of your system. Daytime snoozes can help you catch up on sleep lost the previous night. The trick is to keep them under 30 minutes—any longer and you may wake up groggy. If you nap regularly, Winter suggests setting a nap time so your body clock will expect it. Some medications, including certain antidepressants, beta blockers, and nonsteroidal anti-­inflammatories such as ibuprofen, can lower melatonin levels. Ask your doc when to take them so they don’t interfere with your sleep. About 72 hours before your big day, adjust your schedule so it’s more closely aligned with the event’s, Winter says. If your ride starts in the morning, try to get in some early rides. Not only does jet lag make you tired, it may also cause your body to rebel in other ways. “It can lead to nausea, loss of appetite, and other digestion problems,” Winter says. Not so great for bike riding. Try to give yourself five to seven days to adapt to the new time zone. If you can’t, research has found that exercise helps reset the body clock. So doing a short, easy workout when you get to your destination can ease your transition.